Extra Balanced, Controlled Flexibility The Co.Me Proflex is designed for use in smoothing surfaces over large areas. 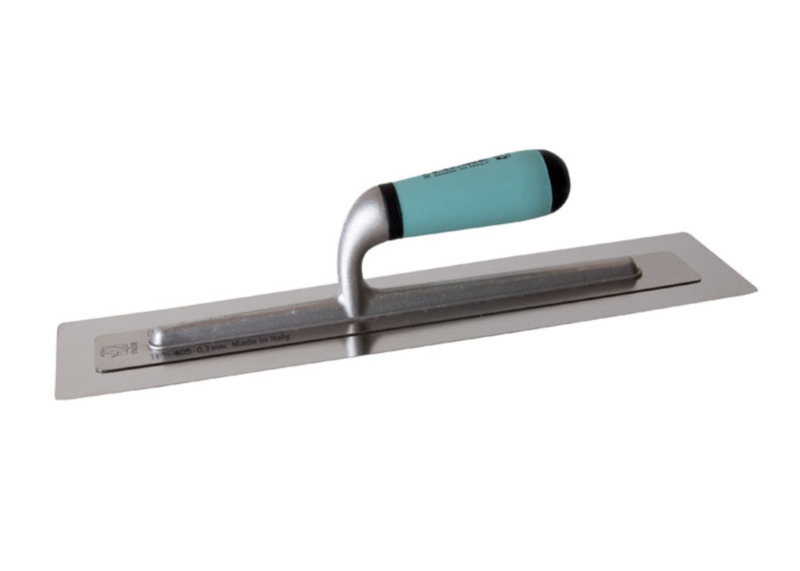 This trowels lends its self to a unique flexibility helping to level trowel marks to create a flat appearance free of tool marks. Great for the level of Tadelakt applications, Micro cements and large stencil motifs. Note: Tool may come in either Orange energy handle or Turquoise depending on what we have in stock.